Forever 21, the US based apparel retailer plans to invest $50 million in the Indian market over the next few years to expand its retail footprint here. 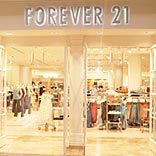 Forever 21 had earlier entered the Indian market in 2011 with a franchise agreement with the Dubai-based Sharaf Retail, launching a store that shut earlier this year. They changed their partner to DLF brands in October last year and launched the company’s second flagship store in the country and its first in the capital on last Friday. Forever 21 plans to add close to 35 stores in India over the next five years with an average store size ranging from 13,000 sq. ft to 25,000 sq. ft. It may explore the possibility of a joint venture in the near future, since India has relaxed foreign direct investment (FDI) norms for the retail sector, reported Live Mint. The company is also looking to increase its sourcing for global operations from India.